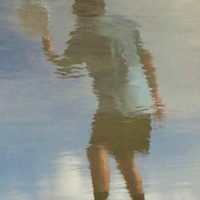 From a friend…While sitting in the audience watching Paul freestyle, it’s not uncommon to hear comments such as, “What did he just do?” or “How many discs does he have now?” What are more intriguing about these commentaries are the people asking the questions. Typically, the interested audience members are other world-class freestylers themselves – and who seem to be the real audience for whom Kenny is playing. 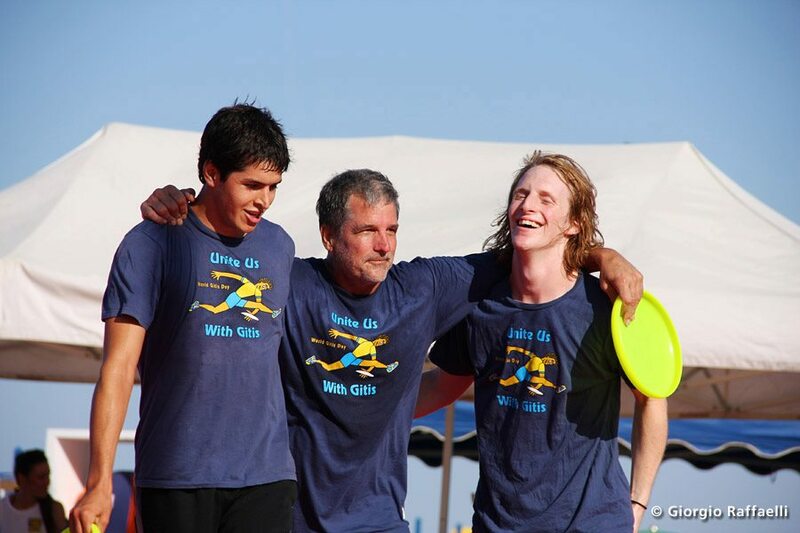 In 1994, not many freestylers knew Kenny, although he has been playing disc since his college days in the late-1970s. When learning how to “jam,” Kenny and his buddy attempted to learn trick moves without the benefit of ever seeing others at tournaments or on videotape. When the FPA Worlds was hosted in 1995 in Florida, Kenny appeared as a “new kid” with an under-the-leg tipping sequence that was a well-executed blur of hands, arms, legs, and disc. It was this “machine gun” move that became his trademark. But not for long. Nearly 30 years later, there is hardly anyone in the freestyle community who does NOT know Kenny. He has frequented several Paganello (Italy) tournaments – which he has won a few times; the World Masters Overall; and hosts the annual Jammers Championship in his hometown of Jacksonville (Florida). Kenny is also regular fixture at the Arizona State Overall and FPA Worlds. In addition, he has been the Executive Director for the FPA for a couple tenures, showing the organization that he can apply a creative vision toward freestyle on and off the field. Kenny’s growth in freestyle disc has not wavered, even with a lack of fellow-jammers living nearby until recently. He is a regular at Jacksonville Beach (affectionately renamed as FrizBeach). It is here that Kenny switches from using his engineering expertise on his (now retired) job and instead applies that expertise to a disc. The switch results in a technical application to freestyle moves that has pushed skill-limits far beyond status-quo: disc angles in the wind, a perfect whip-over to yet another set that is again turned-over, followed by an against move, and another turn-over-all with his non-dominant hand. Kenny can turn and twist a freestyle disc and a spectator’s mind simultaneously. But it’s not just Kenny’s sheer dominance of a disc that is the culmination of his game. He dominates more discs than any other freestyler in history. Each year, he adds more discs to his routines, now up to TEN. Just to clarify: in a routine, Kenny will catch the 10th disc in the same hand that is already holding nine discs. In 2002, he won his first World title at an FPA Worlds event in the highly competitive division of Mixed Pairs, with partner Cindy Kruger. Kenny currently has 8 FPA World Titles, all after the age of 43. In spite of his successes in pushing the limits of freestyle, his own playing style, and the FPA organization, Kenny exhibits humility and a clear vision of his goals. Best stated, he has a self-defined motto: F.R.I.S.B.E.E., Freestyle Reveals Imagination, Spirit, Beauty, and Emotional Expression. Many of us who’ve watched Kenny these past several years, would undoubtedly agree. I have loved them all and learned from each one. Those I have not jammed with I intend to.